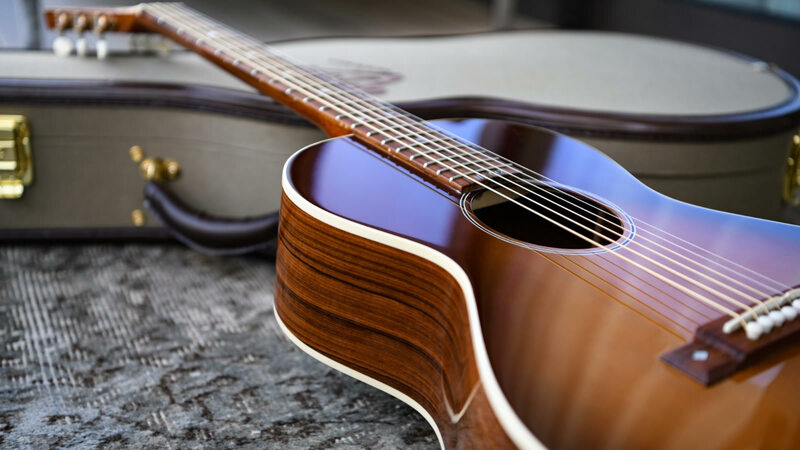 Tel Aviv, Israel – January 14, 2019 – (GuitarPR) – B&G Guitars, known for their hand-built 20s–50s inspired Little Sister electric guitars, has announced the release of their new handcrafted Caletta acoustic guitar, named after Robert Johnson’s wife, Caletta Craft. Thanks to their experience in repairing and restoring vintage guitars that are 50 to 120 years old, B&G came up with a neck joint that delivers the tonal benefits of traditional neck joints while ensuring the Caletta will remain stable for generations. The new Caletta is available for online purchase and via select dealers. Prices range from $2,999 to $4,999 based on options. B&G Guitars was founded by Eliran Barashi, Yotam (Kiki) Goldstein and Avi Goldfinger. Their goal was to create the best sounding instruments in the world, combining traditional techniques and a vintage vibe with modern innovation. Every element of a B&G guitar is handcrafted with immaculate attention to detail. Attention Editors: More background on this story may be available from press release contacts (shown above). To request a Word doc version of the release or additional materials, please contact us.